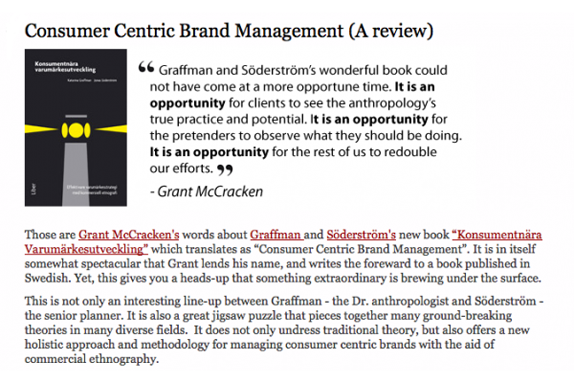 – An interesting line-up between Graffman – the Dr. anthropologist and Söderström – the senior planner. Elia Morling has written a nice review of our book Konsumentnära varumärkesutveckling. Go to his blog Tribaling. Thank you Elia for reading and thinking!